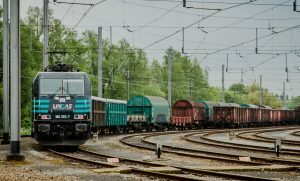 Lineas launched the Lyon Xpress, a new and direct rail services with high frequency and reliability between Lyon and Antwerp, under company’s expansion and modal shift strategy. Thanks to a combination of products from the GXN network, cargoes from Lyon can be rapidly sent on their way to the Netherlands, Germany, Sweden, Slovakia, etc. and vice-versa. The Lyon Xpress benefits also from a connexion with the area Fos/Marseille, enabling an improved access to the industrial sites located around the “Etang de Berre”. The Lyon Xpress runs twice a week, departing from Lyon on Thursday and Saturday with conventional cargo only. Starting April, the frequency will be increased to 3 roundtrips. The aim is to switch over to 5 roundtrips as rapidly as possible. As of June, the Lyon Xpress will also accept intermodal cargoes to and from Port Edouard Herriot. The trip between Antwerp and Lyon takes 16 hours. This Xpress product is carried out in cooperation with the partner Europorte. Lyon Xpress, the 12th branch in the network, links Lyon, economic hub with a river port, with other centres in Europe. The rapid connection with other chemical clusters in Antwerp, Germany and the Netherlands means real added value for the sector. The innovative principle of an Xpress product consists of combining different sorts of cargoes, from steel, chemicals and consumer goods, to pallets and containers, thereby capitalizing on the winning assets of rail, namely transporting large volumes over (medium) long distances.